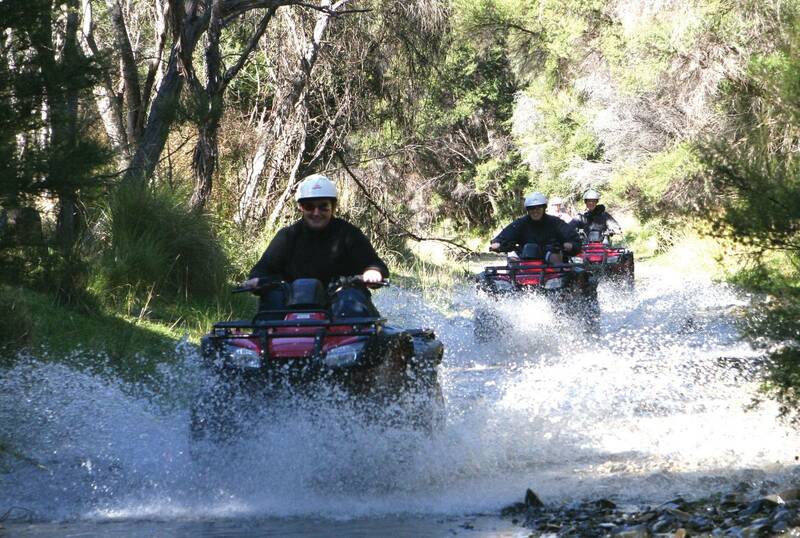 For an unforgettable family experience you can't go past, Glenstrae Farm 4 Wheeler Adventures. You will be guided over this 1600-acre, third-generation working farm, with spectacular hill terrain. Journey through native bush and streams to the magnificent Haumuri Bluffs where you will find fur seals basking in the sun and panoramic views of the snow-capped?mountains in the distance and the spectacular Kaikoura coastline. ? ?From those who are experienced four wheeler enthusiasts to those wanting a more cautious adventure, this experience is designed for all riding abilities. Either ride a quad bike for the ultimate challenge or enjoy being a passenger in the 8 x 8 Argo, which offers even the youngest member in a family the amazing thrills of this adventure in safety. Refreshments and equipment provided. No experience is necessary, full training is given by qualified instructors. Riders must be 16 years of age or over. This property is OSH approved, ensuring you experience the ultimate in quality, safety and 2.5 hours of pure fun..